For more than 20 years, longtime Chicago residents and philanthropists Ben W. Heineman Sr. and his wife, Natalie Goldstein Heineman, thoughtfully assembled one of the largest and finest collections of studio glass sculptures and vessels in the United States. In 2006, the Heinemans gave their comprehensive collection to The Corning Museum of Glass in Corning, New York, supporting the Museum in its role as the leading international repository for the presentation, preservation, and documentation of contemporary %%studio glass%%. Reflecting a deep respect for, and commitment to, artists and their work, the Heineman Collection demonstrates the versatility of glass in exploring and expressing a wide range of ideas in art. Lively in spirit and encyclopedic in scope, the Heineman Collection includes 240 objects, dating from 1969 to 2005, by 87 artists from the United States, Europe, Australia, and Japan. The collection reflects historical developments in the field of contemporary %%studio glass%%. It is a portrait of the Heinemans' career in collecting art, and it is a memorable celebration of individual taste. 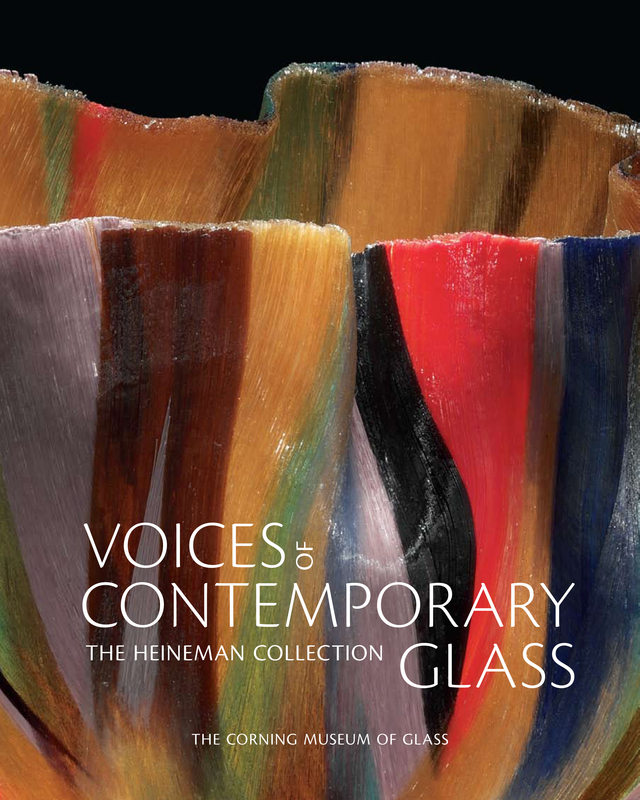 The engaging and richly illustrated book showcases the artists and artworks in the Heineman collection, and it reveals the extraordinary diversity of contemporary %%studio glass%%. The book contains 645 illustrations, 535 of them in color. Cristine Russell, a journalist who writes about science, medicine, and the environment, provides an essay in this book. She is also a glass collector and the daughter-in-law of Ben and Natalie Heineman.